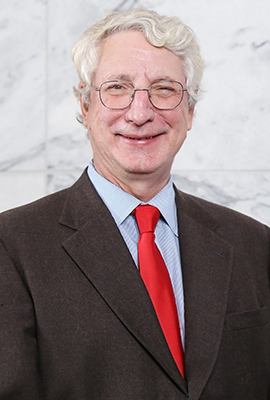 Coenen's scholarship includes two books: The Story of The Federalist: How Hamilton and Madison Reconceived America (2007) and Constitutional Law: The Commerce Clause (2004). His many articles include: "The Originalist Case Against Congressional Supermajority Voting Rules" in the Northwestern University Law Review (2012); “Free Speech and Generally Applicable Laws: A New Doctrinal Synthesis” and "Where United Haulers Might Take Us and “The State-Self-Promotion Exception to the Dormant Commerce Clause Rule" in the Iowa Law Review (2010, 2018); "The Pros and Cons of Politically Reversible 'Semisubstantive' Constitutional Rules" in the Fordham Law Review (2009); "A Rhetoric for Ratification: The Argument of The Federalist and its Impact on Constitutional Interpretation" and "Free Speech and the Law of Evidence" in the Duke Law Journal (2006 and forthcoming in 2018, respectively); "The Rehnquist Court, Structural Due Process, and Semisubstantive Constitutional Review" in the Southern California Law Review (2002); "A Constitution of Collaboration: Protecting Fundamental Values with Second-Look Rules of Interbranch Dialogue" in the William & Mary Law Review (2001); "Business Subsidies and the Dormant Commerce Clause" in The Yale Law Journal (1998); “The Market Participant Exemption to the Dormant Commerce Clause,” and "Suspect Linkage: The Interplay of State Taxing and Spending Measures in the Application of Constitutional Antidiscrimination Rules" in the Michigan Law Review (with Professor Walter Hellerstein) (1989, 1997); and "State User Fees and the Dormant Commerce Clause" in the Vanderbilt Law Review (1997). Coenen received the Josiah Meigs Award, the university's highest honor for excellence in teaching, in 1998. He has been selected by students on multiple occasions as the recipient of the Faculty Book Award for Excellence in Teaching, which is now the C. Ronald Ellington Award for Excellence in Teaching, and the John C. O'Byrne Memorial Award for Significant Contributions Furthering Student-Faculty Relations. He has also received the Professionalism Award and has been chosen by 10 graduating classes to serve as an honorary marshal at their commencement ceremonies. Coenen served as a UGA Senior Teaching Fellow from 1999 to 2000. He was inducted into the university's elite Teaching Academy in 2000, was elected to a multi-year term as a member of the organization's executive committee the following year, and was again elected to the executive committee in 2014. He also served as both vice president and president of UGA's chapter of Phi Beta Kappa, and during both 2016-17 and 2017-18 he was selected by fellow members to serve as chair of the university-wide President’s Faculty Advisory Committee. Coenen demonstrates the role of the lawyer as a public servant through his active involvement in the local community. He helped lead the campaign to pass a Special Local Options Sales Tax (SPLOST) in 1994, then served as a member of the Citizens SPLOST Advisory Committee, a group appointed to oversee implementation of projects funded by it. He has served on the board of directors of the Oconee River Land Trust, the Sandy Creek Nature Center, the Athens Grow Green Coalition and the Community Connection, and he coached basketball teams for the Athens-Clarke County Recreation Department for nearly a decade. Three different mayors of Athens, Ga., have appointed Coenen to serve the community in various roles, including as a member of the Athens-Clarke County Criminal Justice Task Force. Coenen worked as a judicial clerk for U.S. Supreme Court Justice Harry A. Blackmun and for Chief Judge Clement F. Haynsworth Jr. of the U.S. Court of Appeals for the 4th Circuit prior to joining the law firm of Robinson, Bradshaw & Hinson, in Charlotte, N.C., where he later became a partner. Coenen earned his bachelor's degree from the University of Wisconsin and his law degree from Cornell University, where he served as editor-in-chief of the Cornell Law Review. He and his wife, Sally, have three children: Michael, Amy and Claire. Freedom of Speech and the Law of Evidence, 68 Duke L.J. 639 (2019). Free Speech and Generally Applicable Laws: A New Doctrinal Synthesis, 103 Iowa L. Rev. 435 (2018). Freedom of Speech and the Criminal Law, 97 B.U. L. Rev. 1533 (2017). Two-Time Presidents and the Vice-Presidency, 56 B.C. L. Rev. 1287 (2015). Why Wynne Should Win, 67 Vand. L. Rev. En Banc 217 (2014). The Commerce Power and Congressional Mandates, 82 Geo. Wash. L. Rev. 1052 (2014). The Filibuster and the Framing: Why the Cloture Rule Is Unconstitutional and What to Do About It, 55 B.C. L. Rev. 39 (2014). The Originalist Case Against Congressional Supermajority Voting Rules, 106 Nw. U. L. Rev. 1091 (2012). An Essay on Originalism and the 'Individual Mandate': Rounding Out the Government’s Case for Constitutionality, 107 Nw. U. L. Rev. Colloquy 55 (2012). Where United Haulers Might Take Us: The State-Self-Promotion Exception to the Dormant Commerce Clause Rule, 95 Iowa L. Rev. 541 (2010). The Supreme Courts Municipal Bond Decision and the Market-Participant Exception to the Dormant Commerce Clause, 70 Ohio St. L.J. 1179 (2009). The Pros and Cons of Politically Reversible 'Semisubstantive' Constitutional Rules, 77 Fordham L. Rev 2835 (2009). The Future of Footnote Four, 41 Ga. L. Rev. 797 (2007). A Rhetoric for Ratification: The Argument of "The Federalist" and its Impact on Constitutional Interpretation, 56 Duke L.J. 469 (2006). The Rehnquist Court, Structural Due Process, and Semisubstantive Constitutional Review, 75 S. Cal. L. Rev. 1281 (2002). Means/Ends Analysis in Copyright Law: Eldred v. Ashcroft in One Act, 36 Loy. L.A. L. Rev. 99 (2002) (with Paul Heald). Congressional Power Over Presidential Elections: Lessons From the Past and Reforms for the Future, 43 Wm. & Mary L. Rev. 851 (2002) (with Edward Larson). Structural Review, Psuedo-Second-Look Decision Making, and the Risk of Diluting Constitutional Liberty, 42 Wm. & Mary L. Rev. 1881 (2001). A Constitution of Collaboration: Protecting Fundamental Values with Second-Look Rules of Interbranch Dialogue, 42 Wm. & Mary L. Rev. 1575 (2001). Institutional Arrangements and Individual Rights: A Comment on Professor Tribe's Critique of the Modern Court's Treatment of Constitutional Liberty, 2001 U. Ill. L. Rev. 1159 (2001). Business Subsidies and the Dormant Commerce Clause, 107 Yale L. J. 965 (1998). Suspect Linkage: The Interplay of State Taxing and Spending Measures in the Application of Constitutional Antidiscrimination Rules, 95 Mich. L. Rev. 2167 (1997) (with Walter Hellerstein). State User Fees and the Dormant Commerce Clause, 50 Vanderbilt L. Rev 795 (1997). Of Pitcairn's Island and American Constitutional Theory, 38 Wm. & Mary L. Rev. 649 (1997). Commerce Clause Restraints on State Business Incentives, 81 Cornell L. Rev. 789 (1996) (with Walter Hellerstein). The Impact of the Garcia Decision on the Market-Participant Exception to the Dormant Commerce Clause, 1995 U. Ill. L. Rev. 727 (1995). Rights as Trumps, 27 Ga. L. Rev. 463 (1993). Justice Blackmun, Federalism and Separation of Powers, 97 Dickinson L. Rev. 541 (1993). Priorities in Accounts: The Crazy Quilt of Current Law and a Proposal for Reform, 45 Vand. L. Rev. 1061 (1992). The Constitutional Case Against Intracircuit Nonacquiescence, 75 Minn. L. Rev. 1339 (1991). Untangling the Market-Participant Exemption to the Dormant Commerce Clause, 88 Mich. L. Rev. 395 (1989). To Defer or Not to Defer: A Study of Federal Circuit Court Deference to District Court Rulings on State Law, 73 Minn. L. Rev. 899 (1989). Controlling the Contemporary Loanshark: The Law of Illicit Lending and the Problem of Witness Fear, 65 Cornell L. Rev. 127 (1980) (with R. Goldstock). Special Project -- The Priority Rules of Article Nine, 62 Cornell L. Rev. 837 (1977) (student project with three co-authors). The Story of "The Federalist": How Hamilton and Madison Reconceived America (Twelve Tables Press, 2007). Constitutional Law: The Commerce Clause (Foundation Press, 2004). "Socratic Teaching in Constitutional Law and Otherwise" in Teaching the Law School Curriculum (Carolina Academic Press, 2004). "Teaching Outside the Box" in Extraordinary Teachers (Andrews McMeel Publishing, 2001). "The Curious Role of Interpretive Formality in American Constitutional Law" in Prescriptive Formality and Normative Rationality in Modern Legal Systems: Festschrift for Robert S. Summers (Duncker & Humblot, 1994). Deciding to Decide: Agenda Setting in the United States Supreme Court (H.W. Perry, Jr.), 10 Const. Commentary 180 (1993). "Holding" and "Implied Powers" in the Encyclopedia of the Supreme Court of the United States (Macmillan Reference USA, 2008). Encyclopedia articles on 14 Georgia-related Supreme Court decisions, spanning Chisholm v. Georgia (1793) to McCleskey v. Kemp (1987) in The New Georgia Encyclopedia (2004).